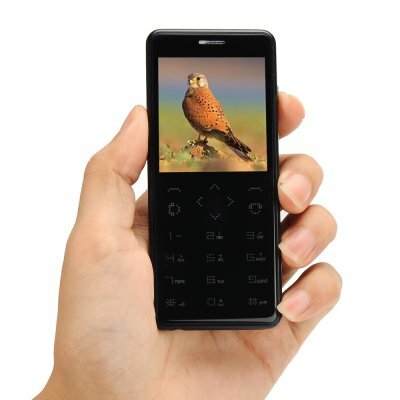 Successfully Added Quad Band GSM Phone - 2.36 Inch Touch Screen, Bluetooth 2.0, 800mAh Battery, FM Radio, 0.3 MP Rear Camera (Black) to your Shopping Cart. We all know if you want something to work reliably and work well its best to keep it simple. Well that's exactly what this GSM phone does best. No frills, no ground braking technology to go wrong, just great reliable communication. The interactive touch screen display saves you from having to scroll through menus to get to the app you need. Just flip through the displayed screens and hit the icon you want. It maintains a fully function touch button dial pad so you can quickly dial numbers or run of short messages with ease. This power efficient device has enough processing acumen for your daily needs but doesn't waste energy with large screens or fancy graphics allowing the 800mAh battery to bring you several hours of usage time. Bluetooth connectivity beings hands free possibilities and allows for easy connection to other devices, great for transferring files or playing music. With 8GB of onboard storage you can fist plenty of music tracks on this phone and even tune into your favorite FM stations for music on the go. A truly affordable cell phone with all the functionality you need in a compact package makes this a delightful device to own. This quad band GSM cell phone comes with a 12 months warranty, brought to you by the leader in electronic devices as well as wholesale phones..